R W Walpole Ltd is a long-established business propagating a wide variety of soft fruit plants at Terrington St. Clement in West Norfolk. They are a large-scale commercial grower with over 65 years’ experience as growers and propagators, supplying all areas of the soft fruit industry. They are also one of the country’s last remaining field-scale strawberry growers. 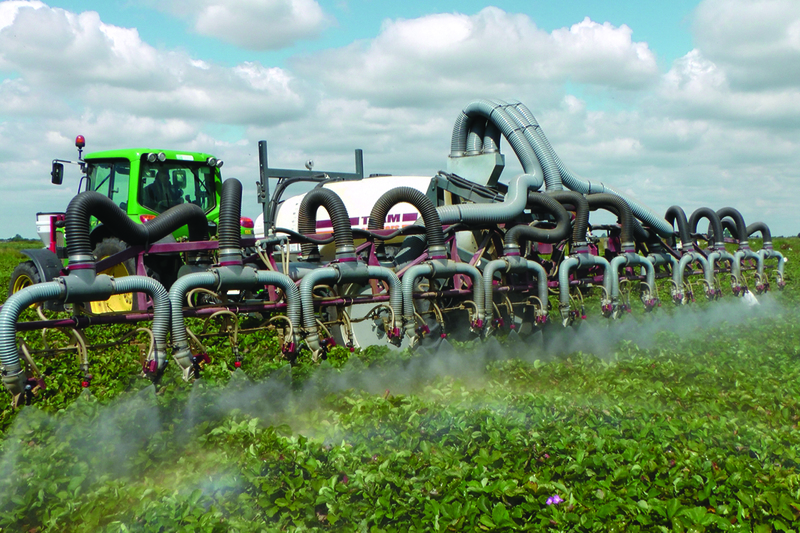 In 2016 the company approached Team Sprayers of Ely to develop a fan-based sprayer that would deliver fungicides to their soft fruit crop, mainly strawberries, especially big canopy varieties like Christine. The crop is planted in rows spaced at 36”. The 12-row machine has a 3000-litre tank, based on Team’s ‘Leader’ range. Each row is targeted by adjustable mist blowers operating off a powerful air fan system which blows the leaves aside, ensuring efficient canopy penetration, drastically reduces mildew and crop wastage. A superb ride in the field and on the road is ensured by axle air-suspension with load-sensing valve, while the sprayer’s low centre of gravity maximises machine stability. The steering axle provides excellent wheel placement in the field. A Muller Basic terminal in the cab displays all the functions required for effortless operation. All-in-all, the new sprayer is “a highly capable bit of kit”, says Kevin.